Dovemead Productions, filmed at Shepperton Studios. Wally Vivas, an expert in front projection, approached Andrew to see if it was possible to use a real man to play Superman. 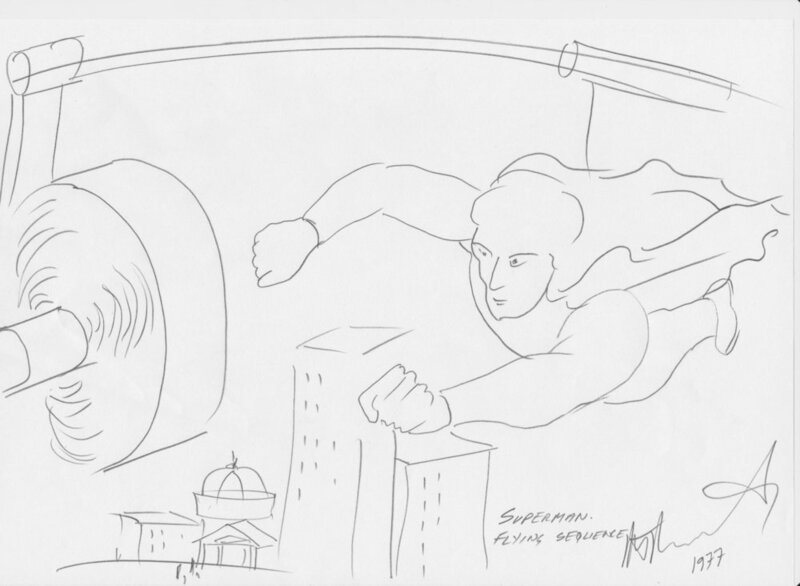 The concept was to suspend Superman in the air on a wire in front of a front projection screen and use lightweight fans to create the background wind and the movement of the cloak. Andrew and his team made hundreds of crystals that made up the birthplace of Superman. Each one was individually sculpted from Acrylic and polished to perfection. 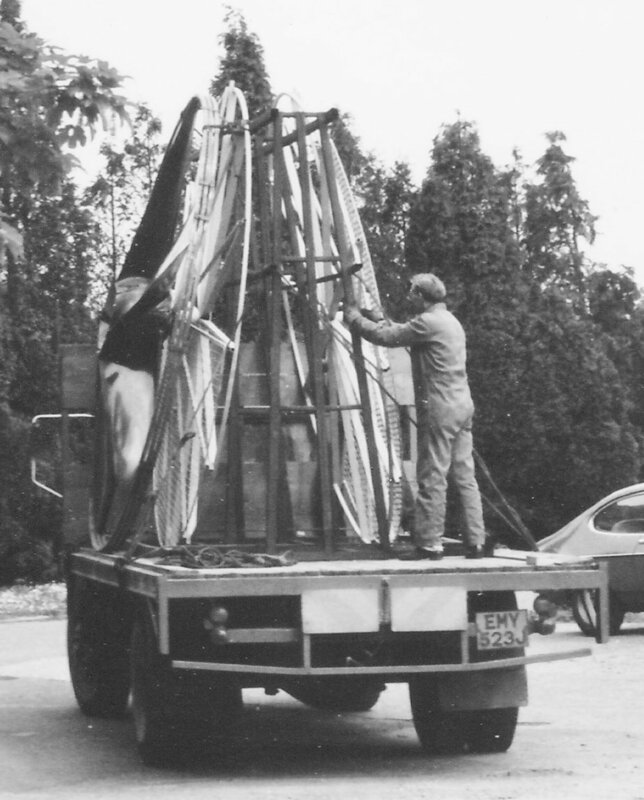 `D` stage at Shepperton Studios was allocated to build the enormous horseshoe front projection screen. Andrew`s design was to use large square thermoplastic sheets butted together. 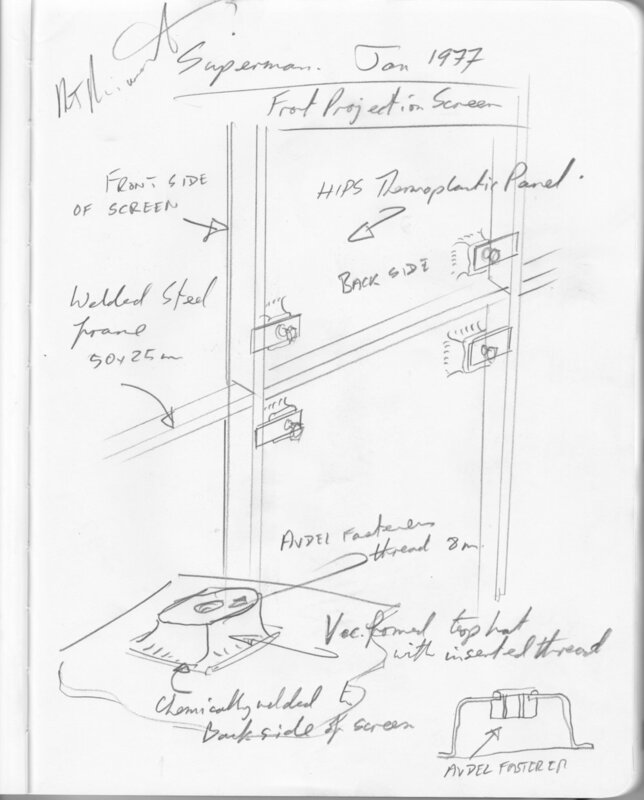 The holding devices were top hat mouldings, chemically welded to the back of the sheets, and tensioned onto the steel framework with steel plates and Avdel fasteners. A simple devise that accommodated the expansion from the heat of the arc lights. Any gaps that appeared after cooling, could easily be re-secured in place ready for the next day`s shoot. 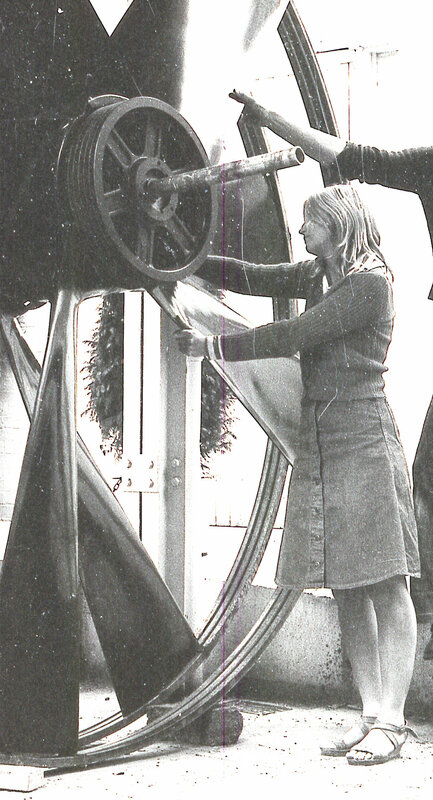 Up until then, to create wind for a film shoot, productions used an aero engine on a dolly. This was so noisy that it was impossible to shoot sound at the same time. Andrew designed quiet machines. Small ones to create the wind to move Superman’s cloak, and large ones, about 15ft. diameter, to create the background wind. The fans were run by electric and so comparatively quiet. Christopher Reed, who played Superman, was up for anything, and so the precarious life on the wire with a fan in front of his face was no problem to him. This was 1977, before Health & Safety was invented and anything goes....check out those `Loons` on Andrew. 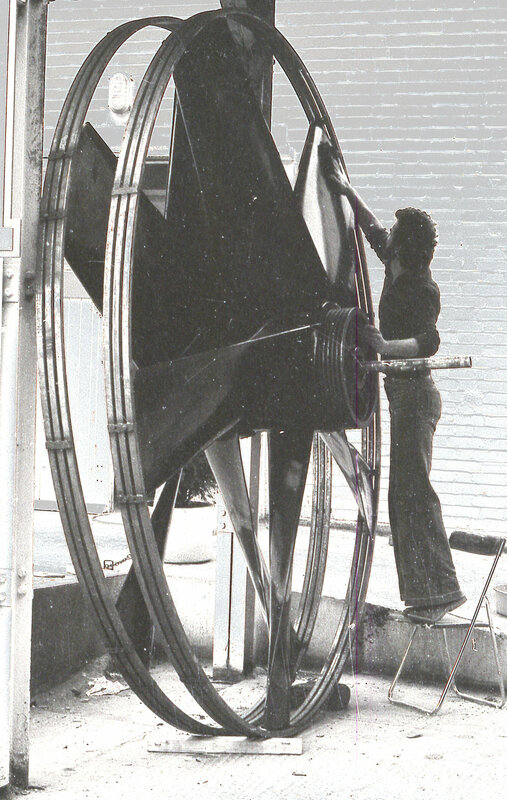 The wind machines consisted of a tubular steel framework to form an outside ring and space frames from the centre hub to the rim. Vacuum formed ABS blade sections were assembled over the space frames and back foamed with Polyurethane to form a rigid structure that had a flexible skin that reduce surface friction and noise. The retaining jigs to hold back the PU expansion were substantial to say the least, as over 100 psi was created inside the blade during the process. Andrew`s production of ABS Thermoplastic kayaks and the vacuum forming machine he built to accommodate it, was the testing ground to create such large structures as these wind machines. Before back foaming, the surfaces of the blades had to be chemically welded together. Bernadette was an expert in this process from experience achieved from bonding hundreds of ABS thermoplastic kayaks together. There could not be the slightest gap, otherwise the PU expansion pressure would blow the blades apart with an explosion force that would shower the workshop with liquid chemicals, and all those in it. 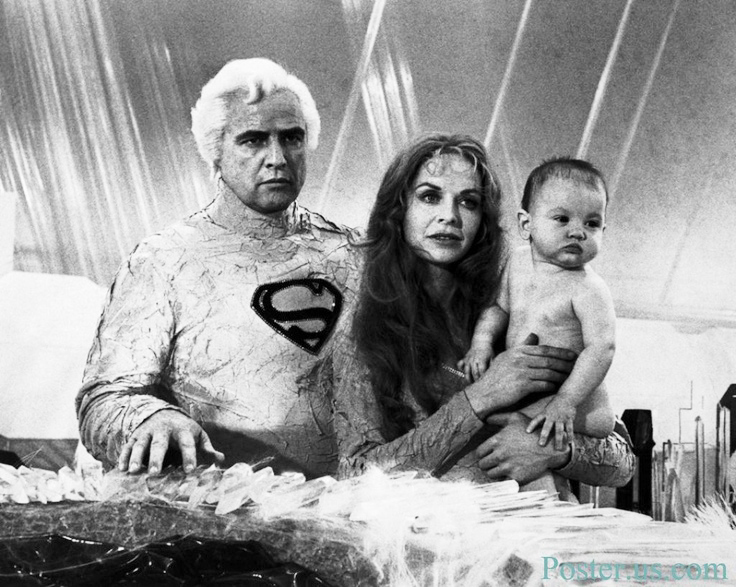 It all worked well in the end and the Superman flying sequences were really convincing.